We offer a spectrum of Health, Safety and Environmental qualifications from the world's most prominent awarding bodies which comprise NEBOSH, IOSH, HABC, CIEH, HSI, and NSC. We are also engaged in consultancy and training services to industry specific areas .We advocate the adoption of prudent environmental, health and safety policies, principles & practices by our clients by designing bespoke trainings to manage and functionalise on-site operations so as to maximize safety, promote efficiency and enhance productivity. We take pride in imparting high quality HSE trainings by ensuring the priority of students' success. The NEBOSH International Diploma takes a risk management approach based on best practice and international standards, such as the International Labour Organisation (ILO) codes of practice, with special reference to model such as the ILO's "Guidelines on Occupational Safety and Health Management Systems" (ILO-OSH 2001). Health and Safety Management is an ideal safety training course for mangers and supervisors to get up-to-speed on the safety skills they need to handle health and safety issues in the workplace. Workplace Fire Safety is a free safety training course. Employers are legally required by Fire Safety Regulations to provide information, instruction and training to employees. This course is developed using the OSHA Manual 29 CFR Confined Space entry Requirements and regulation to protecting the people in Confined Space. This awareness course is suitable for all people who are required to work at height. This course provides a basic awareness of the risks from working at height, as well as practical ways to prevent falls from height. Permit to Work System is designed and intended to ensure compliance to internal management system and regulatory requirements. 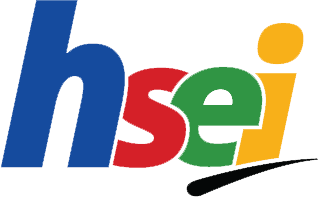 At HSEI we create an outlook and culture in which HSE principles are front of mind and part of everyday business.